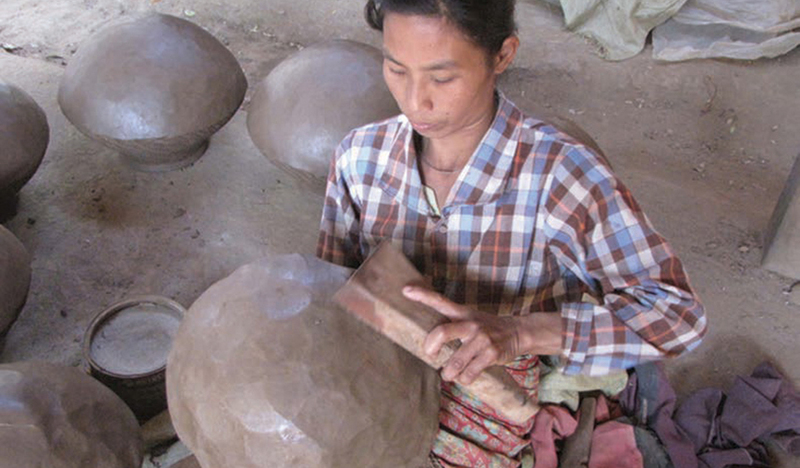 Pottery has a long tradition in Myanmar (officially the Republic of the Union of Myanmar, and also known as Burma) bordered by India and Bangladesh to its west, Thailand and Laos to its east and China to its north and northeast. In the Myanmar terrain people began using pots that were easily and cheaply produced. Pots were not only used to store or to cook food but also as burial urns that held gold and jewelry inside them. The remains of some old pots used during the Pyu civilizations were discovered, providing evidence that pottery had been used since then [5th Ccentury]. Shards were also found in Bagan and Mrauk-U regions. Previous Article: « The Story of HeartMoss Pottery: Hannah and Emi Escape to a Beautiul life.